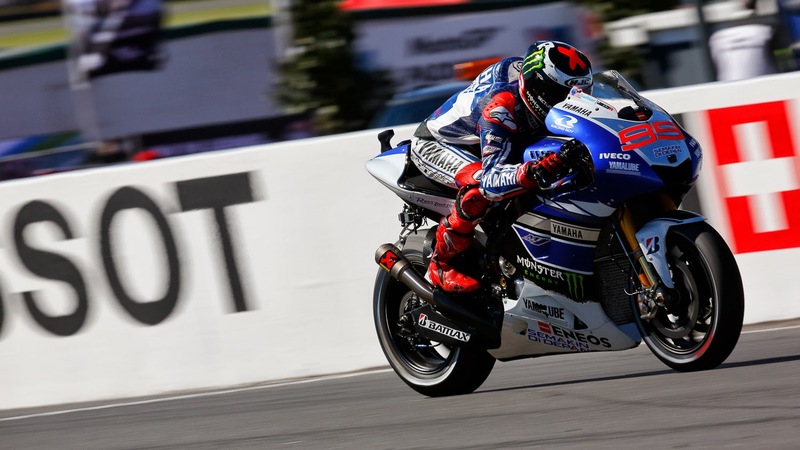 It was reigning MotoGP™ World Champion Jorge Lorenzo who locked out both Friday practice sessions at Phillip Island ahead of the Tissot Australian Grand Prix. The Yamaha Factory Racing rider led Marc Marquez and Alvaro Bautista, while championship leader Marquez escaped an afternoon crash at Lukey Heights. Lap records were expected to tumble at Phillip Island this year, with a new surface having been laid since the 2012 race. Enjoying the bright conditions, Yamaha Factory Racing’s Lorenzo duly posted a 1’28.961, with Repsol Honda Team’s Marquez second while GO&FUN Honda Gresini’s Bautista went third overall but second in the afternoon session. This dropped Marquez’s teammate Dani Pedrosa to fourth position, having stopped his bike on the exit of the Southern Loop towards the end of the second period, as his rear engine-mounting bolt had come loose. Yamaha’s Valentino Rossi – off the podium at Phillip Island on only three occasions since he debuted in the World Championship – completed the top five. Marquez was fortunate to avoid injury during second practice, as the 20-year-old – who could become World Champion this weekend – crashed at the top of Lukey Heights. Having escaped any injury, the Spaniard was back out on-track less than 20 minutes later. The same could not be said for LCR Honda MotoGP’s Stefan Bradl; having fractured an ankle at Sepang last Saturday, the German was allowed to take part in opening practice but finished almost four seconds off the pace and was later declared unfit. He hopes to return in Japan next weekend. Monster Yamaha Tech3 occupied positions six and seven on the timesheets, with Cal Crutchlow half a second quicker than Bradley Smith as the latter made his first premier class appearance at Phillip Island. The top ten was rounded out by leading CRT runner Randy de Puniet for Power Electronics Aspar plus Ducati Team duo Nicky Hayden and Andrea Dovizioso, with the 2006 World Champion having now been confirmed as joining Aspar for the next two MotoGP™ campaigns. Ignite Pramac Racing’s Yonny Hernandez suffered a fall in the morning, while Avintia Blusens’ Hector Barbera was last to encounter a slip-up as he crashed on the exit of Lukey Heights barely five minutes before the day’s MotoGP™ action came to a close. Australians Bryan Staring and Damian Cudlin ended proceedings in 21st and 24th places on their CRT bikes, run by Gresini and PBM respectively. The majority of riders were using the softer option front and rear tyres for both of the day’s sessions, however Bridgestone has since stated that due to the abrasive nature of the new tarmac, riders should race with the harder compound. This does not rule out using the softer rear for qualifying tomorrow. Both front options remain open throughout. 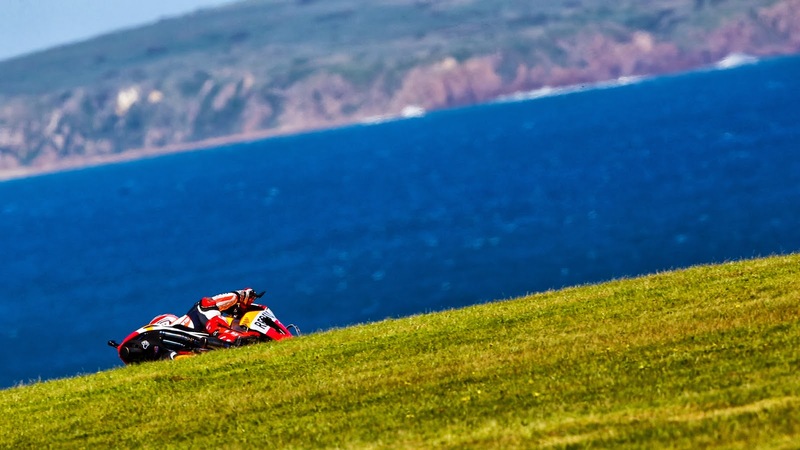 Will Marquez make history this weekend at Phillip Island MotoGP?